When two men had to stop on the side of the road after their car broke down, they stood near a giant trash heap to wait for assistance. 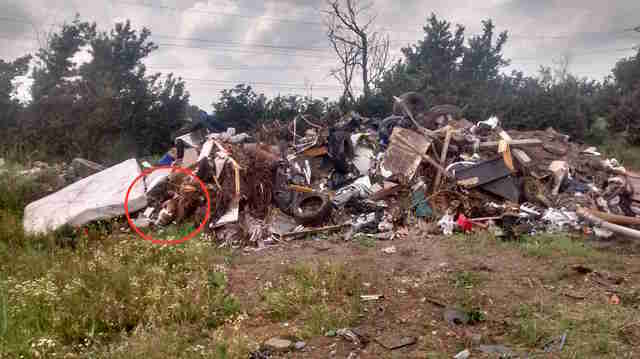 As they studied the trash pile, they noticed something that didn’t quite look like trash — and as they got closer, they realized it was a dog. The 18-month-old dog, later named Penny, was clearly very sick and desperately in need of help. 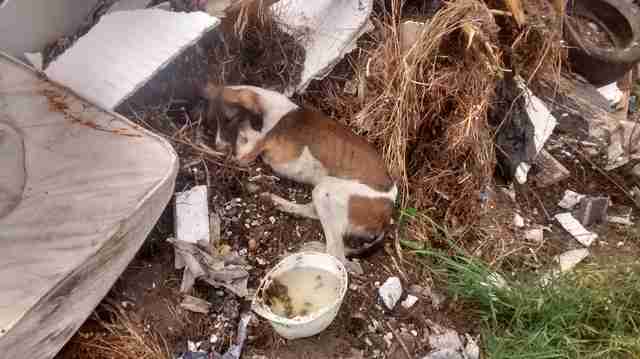 She was laying at the edge of the trash pile covered in mud, unable to move, and could barely even lift her head to greet her rescuers. 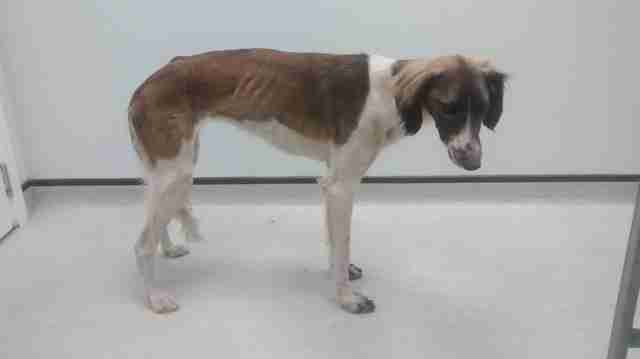 The men immediately contacted the RSPCA, which rushed out to rescue Penny as quickly as possible. While waiting for the RSPCA, the men who found Penny tried to offer her water, but she was too scared and weak to accept it. She was emaciated and dehydrated, but somehow managed to hang on until her rescuers arrived and rushed her to a local vet for treatment. Penny had to stay at the vet for several days because she was in such bad condition, and was on a drip to help rehydrate her. Slowly, though, Penny began to regain her strength, and before long could even walk on her own again. Despite the condition she was in when she was found, it seems like she’s going to make a full recovery. Penny is now out of the vet’s office and in the care of the RSPCA. She still needs some continued treatment, but overall, she’s doing well, and is on the road to recovery so that she can eventually find a loving forever home. 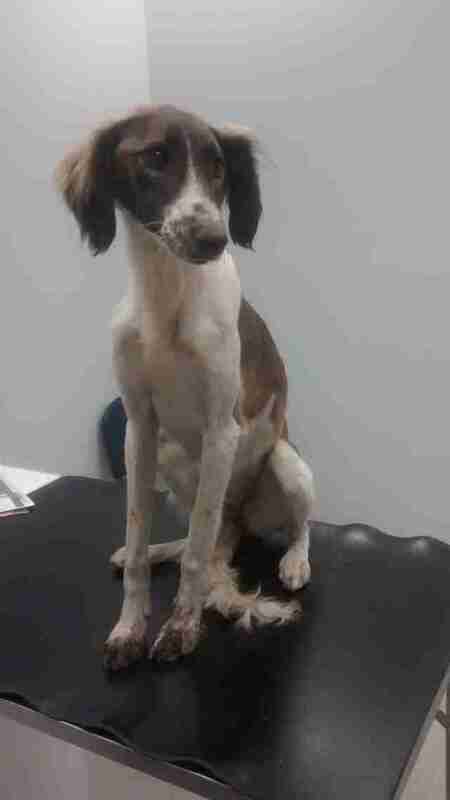 Anyone with any information about who may have abandoned Penny can contact the RSPCA at 0300 123 8018. To help other dogs like Penny, you can donate to the RSPCA.